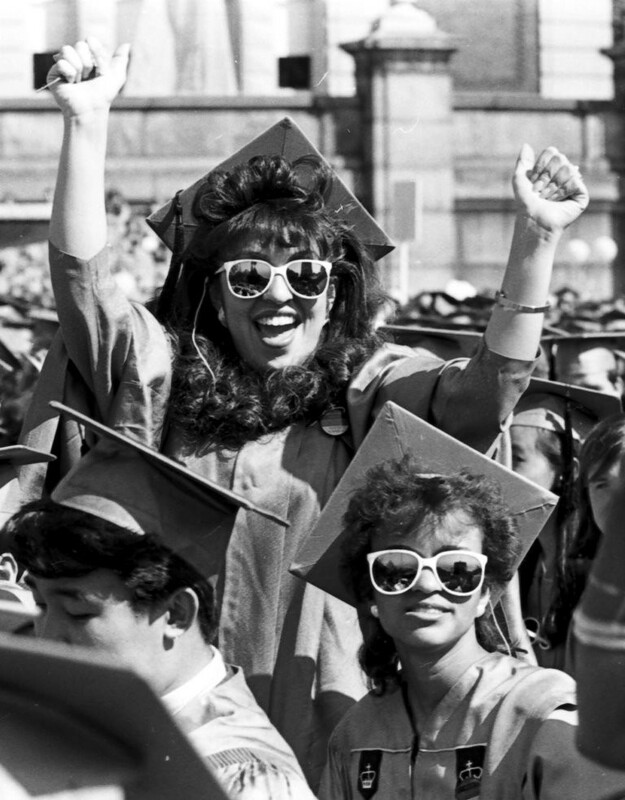 View of women Columbia College seniors at 1987 Commencement ceremony held on May 13, 1987. (Scan 2773) Office of Public Affairs Photograph Collection, University Archives, Rare Book & Manuscript Library, Columbia University in the City of New York. Photo credit: Joe Pineiro, University Photographer. Columbia College commencement, May 13, 1987.